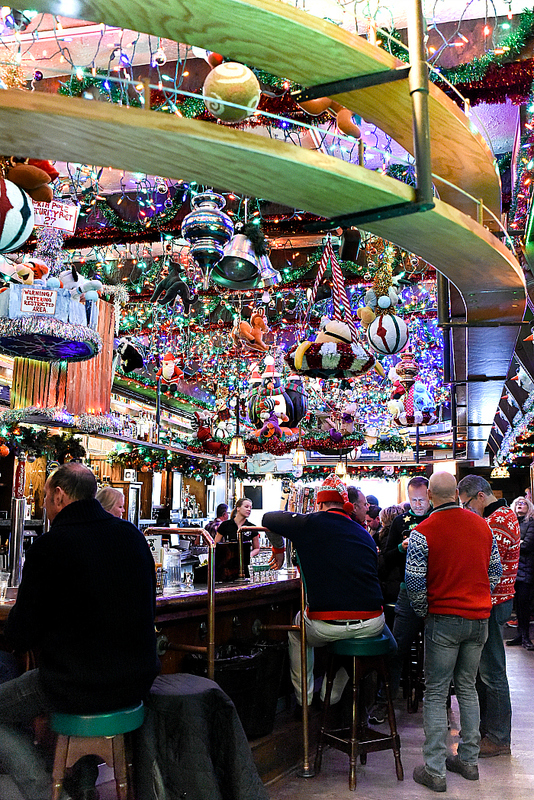 Holiday Traditions – Christmas Eve At Butch McGuire’s, Chicago. But as I thought about it some more, do any of those things fall on the spectrum of a holiday tradition? I guess I was looking for something big. Something different. Something uniquely unique. And, dare I dream, something magical? And as I thought some more, I realized many of our family traditions have changed and morphed over the years. As I age. And as the kids age. One of the earliest Christmas traditions I remember from my youth … back when I was still a believer … was that Santa didn’t just bring presents. He brought the tree too. 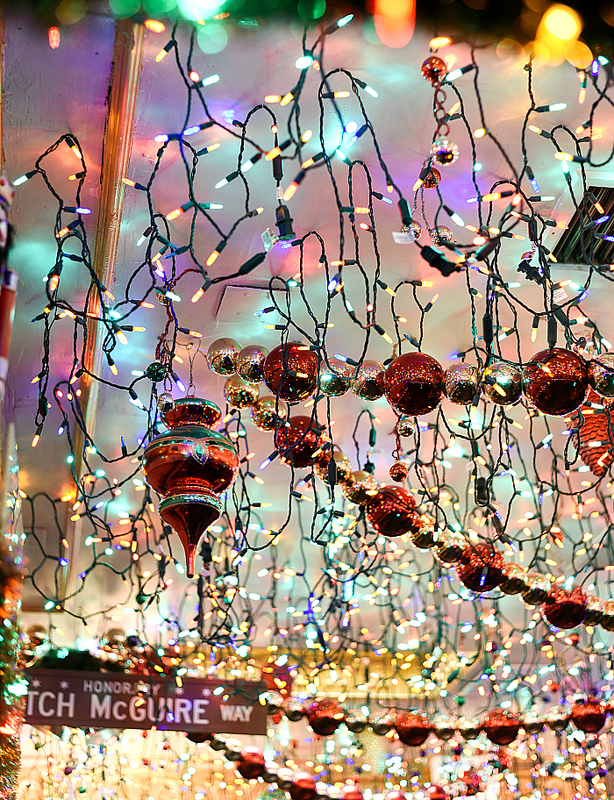 And the lights. And the ornaments. And he decorated it. Just imagine going to sleep with sugar plums dancing in your head on Christmas eve, and waking on Christmas morning to the sight of a fully decorated tree with presents underneath. Sadly that tradition ended once I stopped believing. I even tried to recreate that magic for my kids. Well, not the tree from Santa thing. But for a few years I would decorate the house while they were at school. 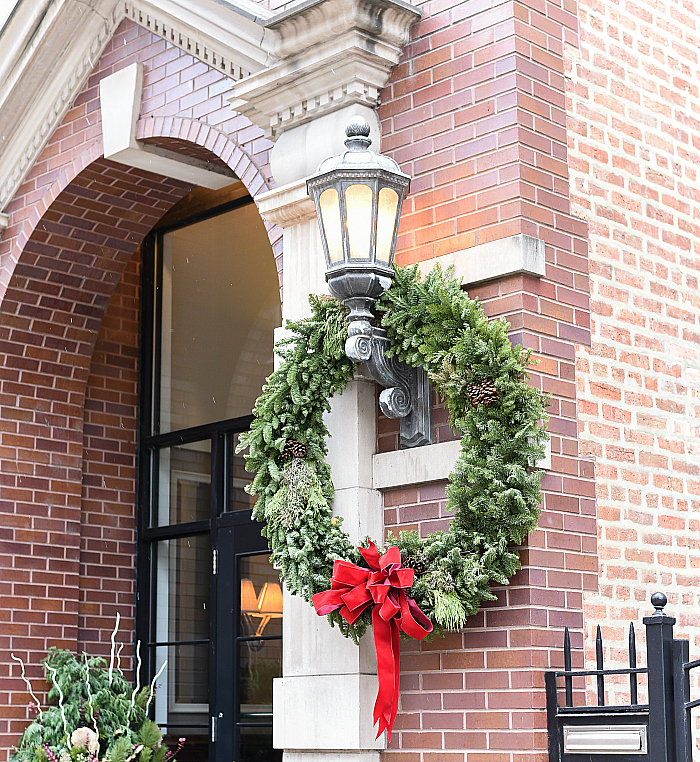 Hoping that returning home to a decorated house would offer some magic. Honestly, I’m not sure it really worked. 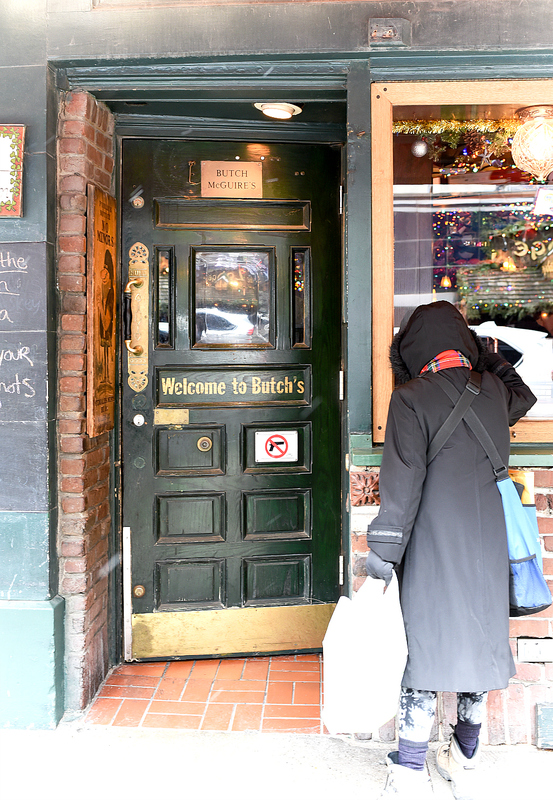 Brunch at Butch McGuire’s on Division Street in Chicago on Christmas eve! That’s my holiday tradition! With our friends Steve and Carol. And our kids. And anyone else who happens to be in town visiting either of us for Christmas. We started this annual Butch McGuire’s Christmas eve brunch tradition 20+ years ago. And we haven’t missed a single year. that sounds awesome! we used to always go out to dinner on christmas eve but once we had babies that changed… i wrote also about how some traditions change as kids grow, but you know what? it’s ok! it’s all about being with your family and not forcing things that don’t work anymore. Oh, Linda! 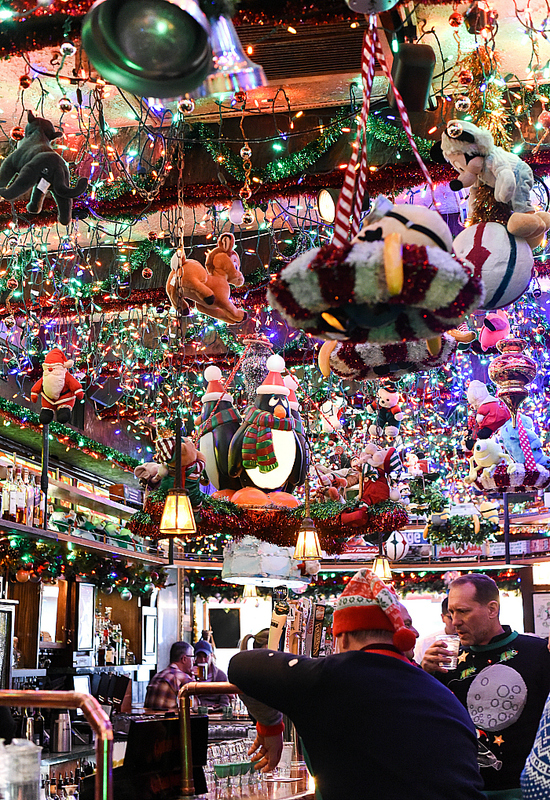 Now I have to make a trip to Butch McGuire’s and Division Street before Christmas arrives!! 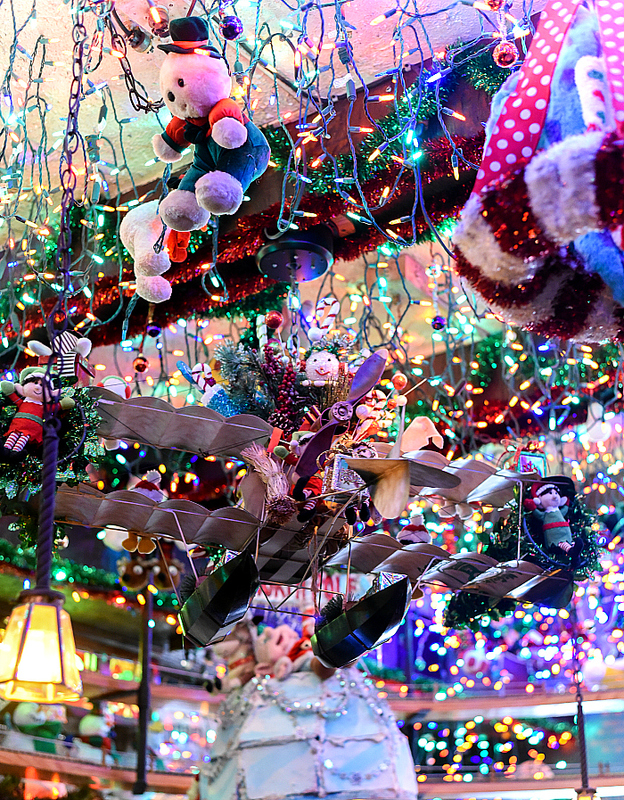 The decorations inside Butch’s reminds me of the scene in the movie Elf when he decorates the entire place in one night for Santa’s arrival. 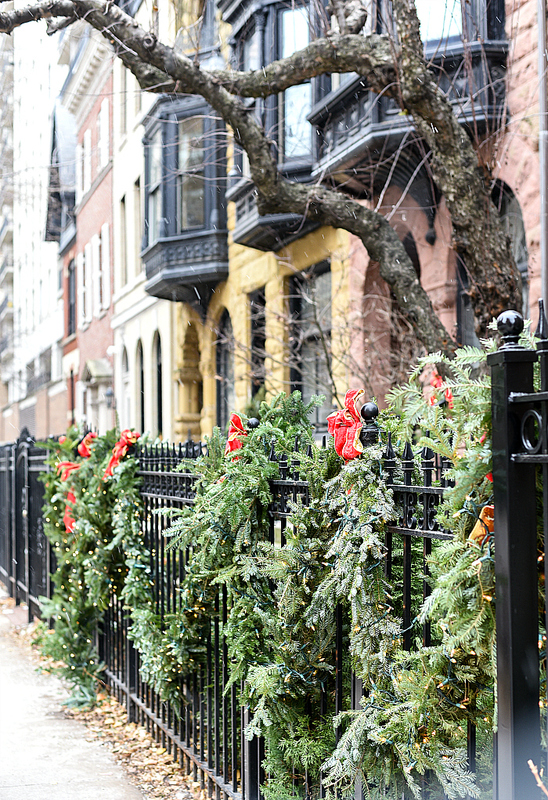 I love your tradition and I’m sending this post to all my kids to see if they want to join hubby and me when we make the trek to the city. 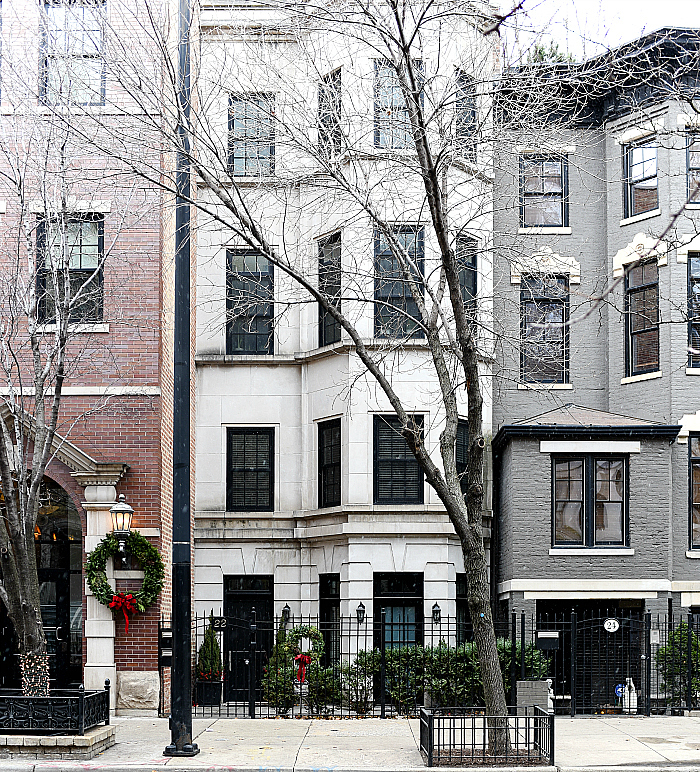 I love walking residential streets in Chicago – so much history and interesting architecture! So glad you’re on today’s hop! I worked and had days off int he week when the children were small. 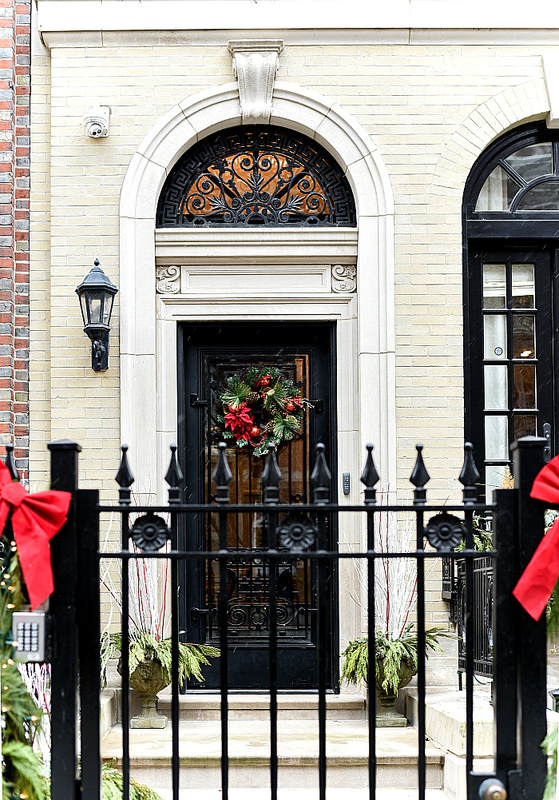 I always decorated most of the house while the children were at school for all of the holidays – they told me that was one of the best things they remember – the home would transform in a day. Crockpot meal in and out came bins. What a fun tradition meeting at that cool place for brunch with your friends. That ceiling is awesome! What an awesome place – Merry Christmas! Linda, I enjoyed this post so much! What a treat! 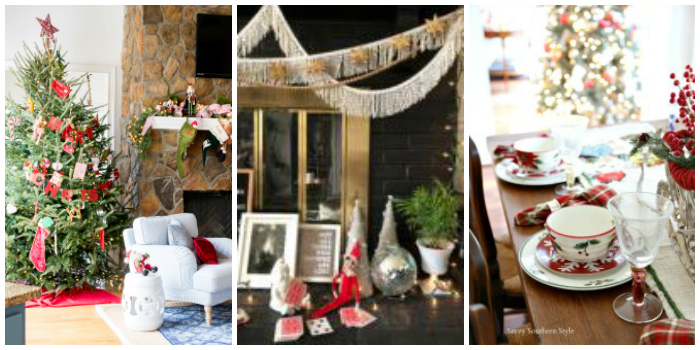 Thanks for sharing your (very unique) holiday tradition and gorgeous photographs. Twenty years is really saying something about how special this annual event is for you. As my husband and I grow older we find it’s all about the memories we make with friends and family, not about the stuff. I can’t wait to share this with him when he gets home tonight. He’s going to love it! Happy Holidays! oh, i wanna have a christmas cocktail with you at Butches! your city is just beautiful. I love the 20 year tradition that you have. Cheers and merry christmas ! Carol here of the Steve-and-Carol-Butches-tradition and I would like to add that our kids, now almost all of them grown and living in different parts of the country, look forward to this tradition as much as we do – as do the additions to our family! Wow, would love to spend an afternoon at that place! 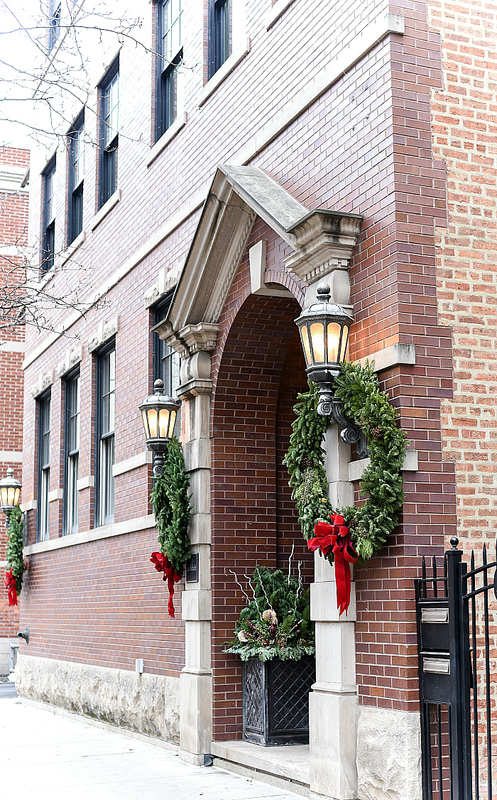 It looks like a perfect place for a yearly holiday tradition! 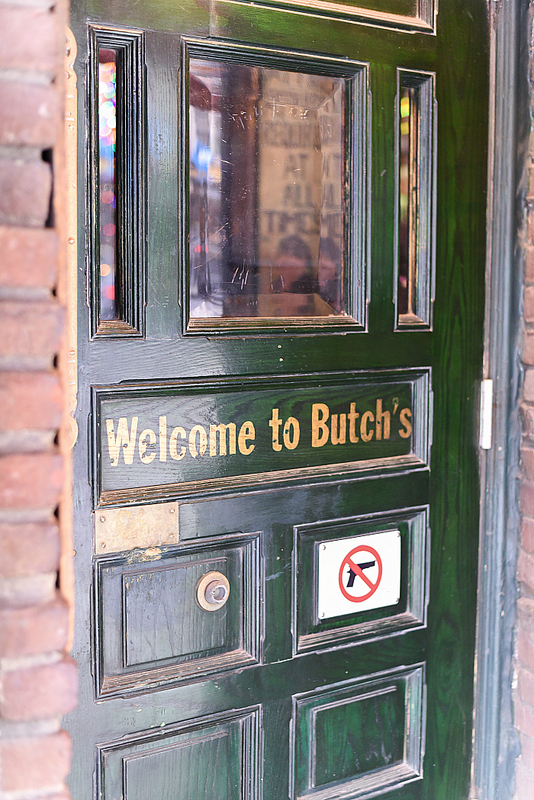 Butch’s looks like great fun! I just LOVE the story you told about waking up to a fully decorated tree with presents. Your parents must have been exhausted Christmas morning, but what an amazing thing to do for your children. It should be a Hallmark Christmas movie! Merry Christmas my dear! 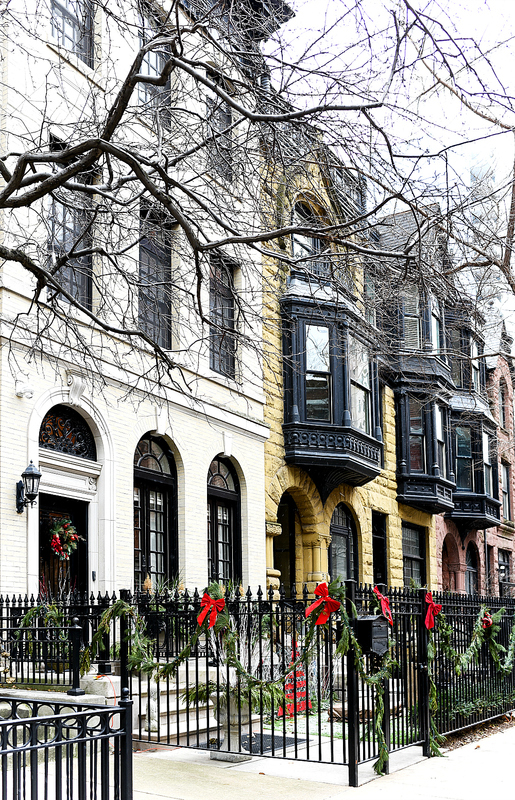 My son and his wife moved to Chicago just a few months ago – and they just love it! I read your post and texted them immediately to tell them about Butch’s. They’ve already been there! They sent me a little video they took of the train, lights, etc. They did want to know what part of Division St. you drove down to see the different houses that were decorated. 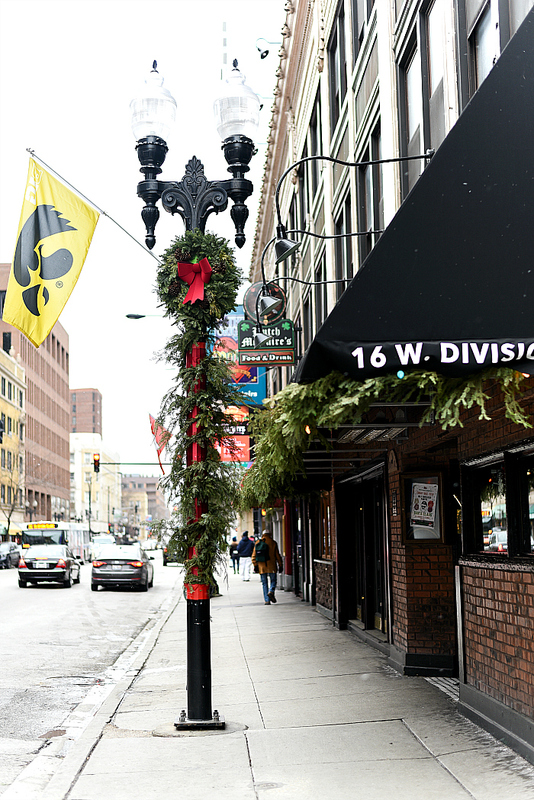 He said Divison St. is pretty long so he wondered where exactly you were referring to. Thanks for sharing. It was fun to tell him about something new for them to go and see. Hi Linda – Like your, when I was a kid Santa brought the tree and decorated it so when we woke up on Christmas morning it was magical. Once we knew who Santa really was that stopped and my parents decorated the tree in the weeks leading up to Christmas. Thanks for sharing your traditions…Brings back fond memories. I hope you have a very Merry Christmas. Oh wow! I finally found someone who had that same childhood tradition! Whenever I mention it, people give me a blank stare! 🙂 Wishing you and your family a very Merry Christmas! May I just say your pictures are absolutely beautiful! Thank you for sharing Chicago with us. 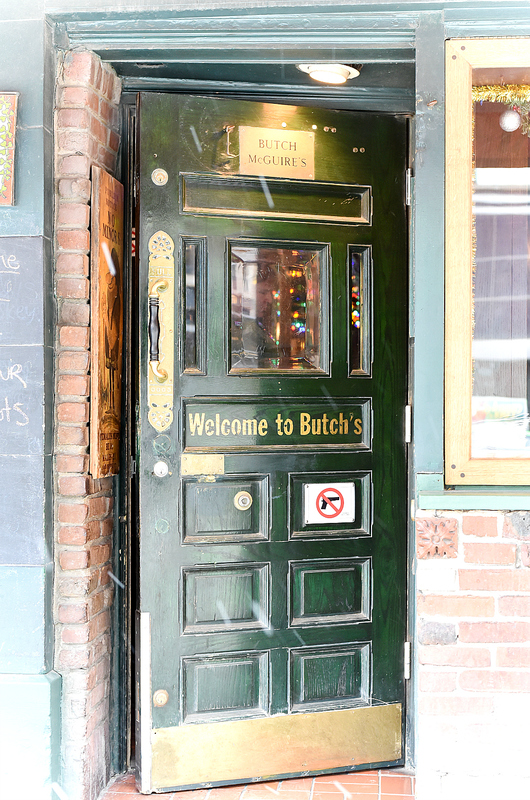 Merry Christmas, I hope you and your family enjoy many more years gathering at Butch’s!